Searching for Le Mot Juste? You'll find it here. 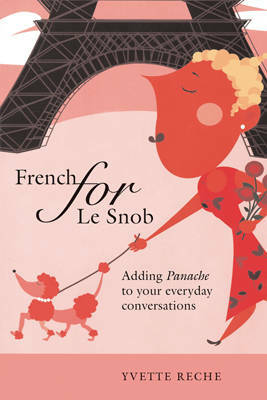 'French for Le Snob' will show you how to use the many French loanwords with impeccable pronunciation. It's unique definitions will help you spice up your conversations with interesting anecdotes and colourful expressions about food, wine, theatre, painting, literature, ballet, architecture and fashion, among other subjects. Sophisticated English speakers everywhere can now enjoy still more of the limelight as they talk about la femme fatale, l'enfant terrible and la creme de la creme, while sipping a cafe noir in their pied-a-terre.